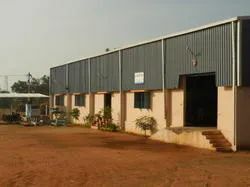 MERRIT TECHNO INDUSTRIES LLP, is a manufacturer and wholesaler of different kinds of Industrial Goods Lift, Scissor Lift, Material Handling Equipment, Iron Scrap Baling Presses, Hydraulic Presses, Filter Press, Honed Pipe, Industrial Stacker and much more. These products are used in many industries such as material handling, rubber, paper, textile, construction, pipeline works, transportation & shipping. MERRIT TECHNO INDUSTRIES LLP was established on 1996 with a team of highly motivated engineers with wide experience in the field of Hydraulics, Foundry Equipments, and Valves & Fittings. The company is equipped with its own Design, Manufacturing, Assembly, Testing and R&D divisions. 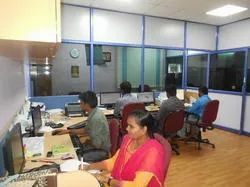 The company is situated in industrial area 15 km away from the Coimbatore city and 5kms away from Airport with sufficient space and all necessary equipment for in-house production. Leveraging on our state-of-the-art infrastructure, we are able to design & manufacture our complete range in an effective manner. We have installed most advanced and sophisticated machinery & equipment at our manufacturing facility, which helps us in conducting manufacturing process easily. Our QA department, equipped with latest testing tools & devices assist us in performing a rigorous quality check and ensuring that each product delivered from our side is flawless. Our organization has gained huge growth due to its quality. Since our establishment, quality is among prime factors of our concern and we are dedicated to maintaining an inflexible quality policy to protect clients’ integrity with us. We have adopted internationally recognized production norms and methods that are strictly followed for delivering reliable and durable products. The raw material used in the production is sourced only from trusted and certified vendors. Our extensive inspections and trials ensure the production of safe and reliable products only. All products manufactured are thoroughly inspected and tested for Quality and reliability. The inspection starts from incoming raw material to end of the product. Each and every process is inspected. Quality has always been one of the main objectives of our organization. To maintain the quality standards of our entire product range, we have adopted a strict quality control policy based on the both national and international rules & norms. Our highly qualified and experienced quality controllers are engaged in conducting an in-depth testing of our products on the basis of certain set parameters. This strict adherence to quality maintenance has led us to achieve a distinguished position in the market. We are a renowned manufacturer and wholesaler of high-quality Industrial Goods Lift, Scissor Lift, Material Handling Equipment, Iron Scrap Baling Presses, Hydraulic Presses, Filter Press, Honed Pipe, Industrial Stacker and much more. Our entire range is manufactured in strict adherence to international quality standards. These products are widely used in many areas such as an automobile, construction, transportation & shipping, material handling and others. Our organization has appointed an adept team, which comprises diligent and dedicated professionals who help us in the successful execution of all our projects. The extensive knowledge and many years of experience of our engineers have enabled us to gain excellence in our domain by providing specific and world-class solutions for clients' variegated needs. Our quality controllers closely monitor the complete manufacturing process to ensure that clients get only flawless products. Apart from this, we have an excellent team of sales and marketing executives, which is well-versed with all latest management strategies and market trends. By following certain set of practices, we have been able to mark a foothold in the market. Our organization has achieved an enviable position in the national and international market as well due to its quality compliance. We have gained numerous satisfied clients because of our customer-focused approach. Our task is to deliver creative products which result in customer requirements by contributing superior quality hydraulic equipment, filter presses, and material handling types of equipment. The individual labor mutual ability certifies employees needs are met and their hopes are fulfilled.